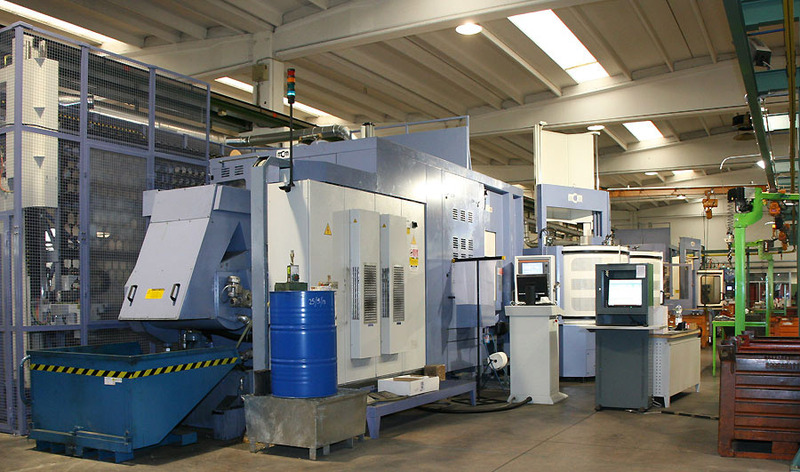 We offer a wide range of products that we try to customise as much as possible so that they can meet the customer’s requirements, by skilfully combining standard parts, which we manufacture in more considerable production lots, by exploiting small economies of scale in the production process. Thanks to the long-standing experience gained over the years, and after more than 150,000 installations, we can offer a real technical support to our Customers during their project development stages of self-propelled agricultural machines , horticulture machines, fruit harvesters, construction machines, dumpers, loaders, concrete mixers, street sweepers, multi-purpose machines, conveyor belts, passenger stair with hydrostatic or electric transmission, city maintenance vehicles , off-road 4×4 vehicles, and also electric traction urban minibus. 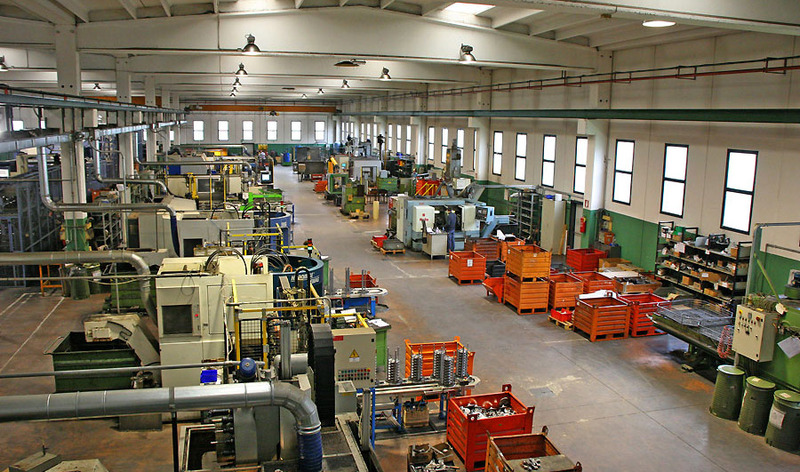 Our activity is carried out in a modern factory of 6500 sq. covered surface, built in an area of 13,500 sq. in total, located in Prevalle municipality, 20 km far from Brescia city. 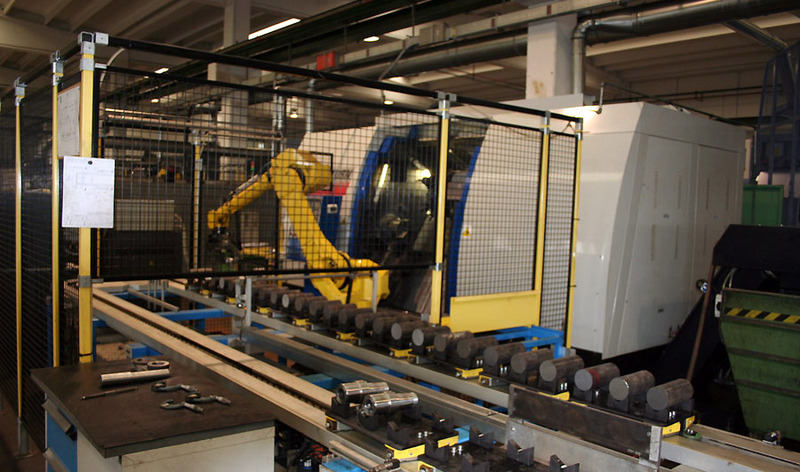 We hold a range of efficient machines, which allows us to inner carry out all turning, and toothing processes as well as case for axles, gearboxes, speed drop boxes and transmission processes. 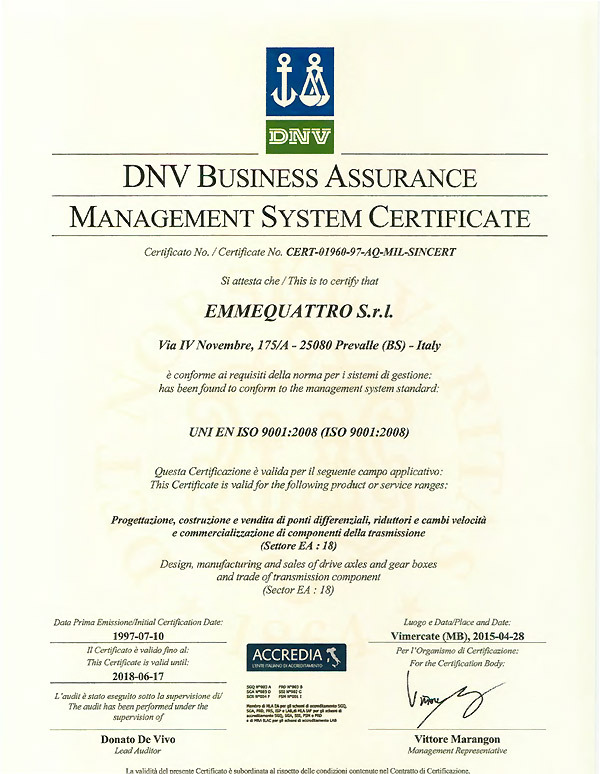 Our streamlined and qualified organisation structure, composed of 35 units, makes ourselves flexible, proactive and able to compete with competition low costs in manufacturing of axles for fruit harvesters and horticulture machines, loaders, sweepers, sprayers, dumpers, ground support equipment and electrical buses. Every manufacturing is managed and monitored in every step through an ERP System created and optimised to ensure an efficient differential axles, speed drop boxes and gearboxes manufacturing. Persistence in pursuing goals, the enthusiasm in facing new challenges and the will of constantly improve ourselves are our strengths which allow ourselves to meet constantly growing market requirements. Our first goal is to be able to propose quality products to our customers, namely, a technology modern, operational, solid, cheap and eco-friendly differential axle, speed drop box or gear box, without faults, which meets customer specific requirements.